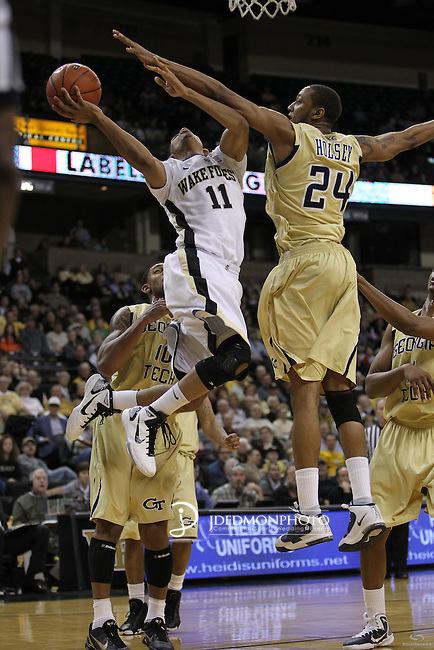 Wake Forest Demon Deacons guard C.J. Harris (11) leaps for a score as Georgia Tech Yellow Jackets forward Kammeon Holsey (24) and Georgia Tech Yellow Jackets guard Lance Storrs (10) try for the block. Georgia Tech leads at the half 35-28.